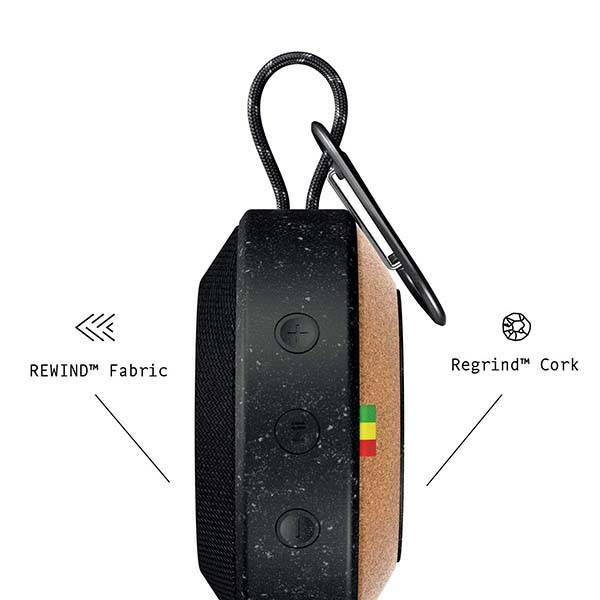 House of Marley No Bounds waterproof portable Bluetooth speaker has been ready to bring you your favorite music wherever you go. Like the design? Let’s continue checking. 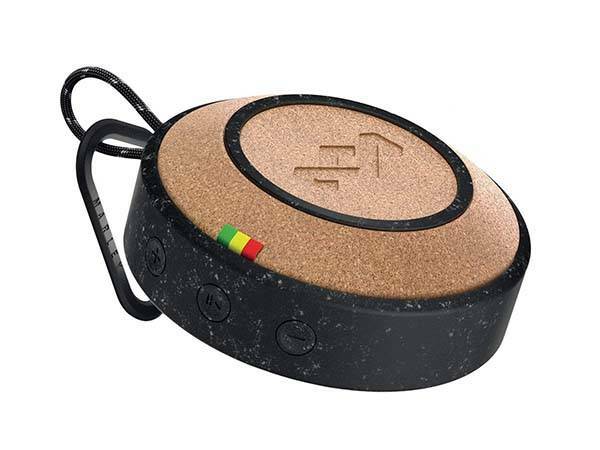 The No Bounds is a beautifully designed wireless waterproof speaker that weighs 8 ounces. As shown in the images, similar with JBL Clip 3, the wireless speaker shows off a compact rounded appearance design. With an integrated strap and included carabiner, you can effortlessly attach it on your backpack for easy carrying. Meanwhile, the exterior features fabric and cork materials for elegant and natural aesthetics, while the aluminum casing not only complements to the stylish look, but also delivers enhanced durability. 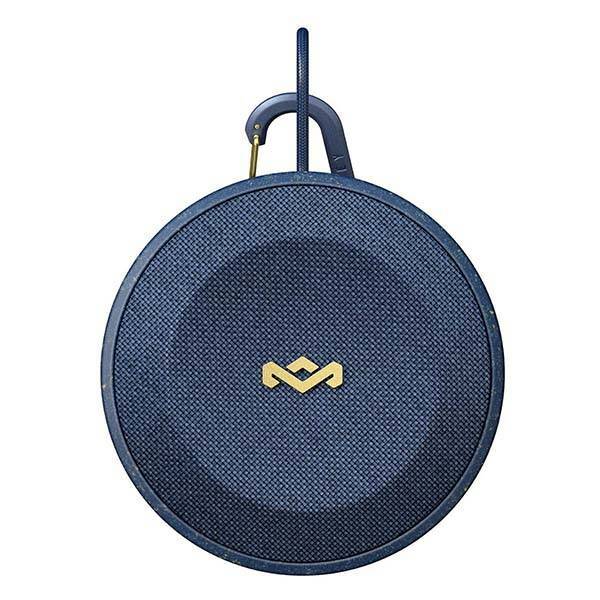 The No Bounds portable speaker wirelessly connects with your Bluetooth enabled smartphone or tablet for streaming music, and an extra audio input allows it to work with any music player with 3.5mm audio jack. Furthermore, you can also pair two No Bounds speakers for more realistic stereo audio. Its IP67 rating means the No Bounds is waterproof and dust-proof, and it’s floatable so the waterproof speaker is capable of delivering music even when you’re in the pool. In addition, built-in rechargeable battery offers 10 hours of music playback between charges. The No Bounds waterproof portable Bluetooth speaker is priced at $54.99 USD. If you’re interested, jump to the product page for its more details.